Great book to get started. This is wonderful book and it can be found at the Seattle Public Library. This hat combines lots of different patterns. Once you start to get the hang of it you can leave the patterns behind and let your imagination go crazy. This one used up a lot of odds and ends left in the yarn basket. This is a baby hat for my new niece! Dsc 2845.jpg I would love to know the paatern for making this hat. Love the colors and the pattern. Would you share? Or is it in the Alice starmore’s book? Hello, I don’t use a pattern. 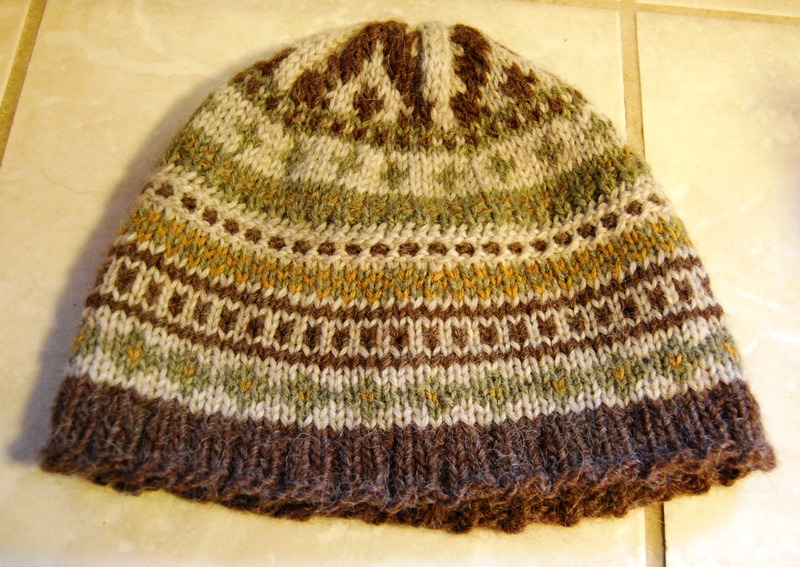 This hat was made using #8 circular needles casting on 140 initial stitches. I go to Google images and scroll through Fair Isle knitting patterns until I see one I like then print it out to follow. Sometimes I will sketch it out too and color it in to see what it might look like.